Marine Capt. 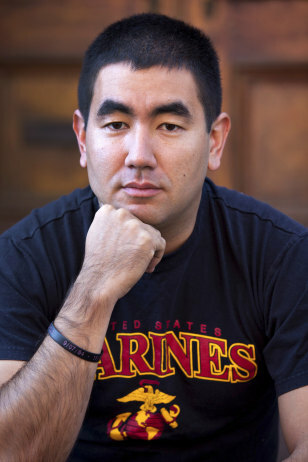 Timothy Kudo wears a bracelet commemorating Staff Sgt. Javier Ortiz-Rivera, a platoon sergeant killed by a Taliban bomb in Afghanistan's Helmand province, while sitting outside his apartment, Oct. 16, 2011, in the Brooklyn borough of New York. The top Marine Corps general has decided to allow his troops to wear bracelets commemorating friends killed in action, settling a debate that has roiled some in the force.